Today’s guest blog is from Andrew Jackson. Andrew has spent the last 30 years building and managing technical service companies. In 1996, he co-founded Bravo Technical Resources, Inc. (BravoTECH) an information technology professional services firm headquartered in Dallas. BravoTECH has experienced award winning growth with BravoTECH employees currently performing IT assignments across the United States. Andrew received a BSBA from Illinois State University and was recently inducted into the ISU School of Business Hall of Fame. Andrew has been chairman of the board of the following organizations: Texas Association of Business Dallas and Ft Worth Chapters, the National Kidney Foundation of North Texas and the Dallas and Ft Worth Chapters of the National Multiple Sclerosis Society. He serves as a mentor on the Associate Board of the Cox School of Business at SMU, and has been a member of the Dallas Chapter of the Society for Information Management (SIM) since 2002. He Just completed his sixth term as SIM’s VP of Conferences and Seminars on the SIM International Management Council. A few years ago I wrote about the importance of keeping employee morale high during the lean years as a hedge against high turnover. During a recession, rising stars of the organization can feel neglected because they do not see continuous progress in their careers. Unfortunately, employee turnover can remain a problem after the economy recovers — as employees who now feel secure in their current positions are attracted by offers of better pay or growth opportunities. Experts say that employee turnover, and the absenteeism that precedes it, can be costly – yet the true financial impact is not well understood by most organizations. In addition to the losses associated with recruiting, onboarding and training an employee who then departs, significant productivity and revenue losses can result from a position that is unfilled for an extended period of time. And the added stress on individuals who must “pick up the slack” can lead to further turnover. Whether business is good or bad at the moment, organizations need to understand the risks of employee turnover and what they can do to minimize it. What are we doing to fuel excitement about who we are as a company, what we do and how we help our clients succeed? How long has it been since you had a team building activity, gathered offsite for lunch or dinner, or celebrated the achievement of a milestone or corporate goal? Do your employees have a clear understanding of what is expected of them, and how they can succeed? Do your supervisors have good management skills and do they communicate well with their teams? 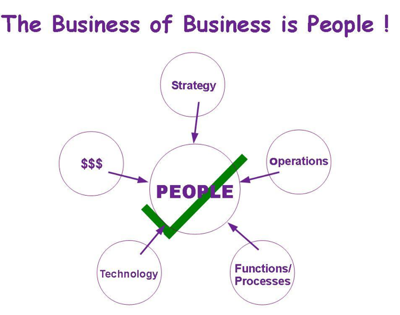 Are you utilizing the skills of your people to their fullest? Do all employees, especially star performers, feel that they are using their talents to make a valuable contribution to the company’s mission? Do you allow employees to speak freely about their concerns, and do you clearly communicate objectives to them on a regular basis? Do employees have a clear understanding of what they can do to earn a salary increase, bonus or promotion? Is this a fun place to work? What low-cost incentives or activities could be implemented to recognize individuals for their contributions? Do managers have regular one-on-one conversations with employees to understand their goals, personal challenges and concerns – and are the results of these conversations reported to upper management? While salaries, benefits and perks need to reflect the goals of the company, employees need to see a direct link between their efforts and the rewards they receive. This is a pretty simple idea to understand, but it can be difficult to track on a continued basis – particularly when the business is fast-paced and customer demands take priority over employee concerns. People work for money, but their motivation and happiness are influenced by many different factors. Sometimes it is the little things that keep a team together. Now that we’ve moved into more profitable times, let’s try to hang on to our most valuable asset – our people. How important is the grounding of goals within a time frame, giving them a target date? Is it possible to be too connected in this digital age? Is the big deal understanding the connected generation? Does breaking jobs into tiny pieces yield better, faster, cheaper work — and greater flexibility for employees? How customer focused are our employees are on any given day? Is it the end of business as usual? Are you inspired by technology or overwhelmed? Can I be shrewd enough as a business leader? Leadership in the journey to become a digital business is purposeful in its approach to creating a long term sustainable change. How much of customer experience management is art or science? Is it about voodoo? Have employees gone through some “training,” but are never “trained”? What should I stop doing today? My new to do list! How do we start creating a culture of accountability around all initiatives? Happy birthday internet! How does it feel to be 30? How can the five why’s help find the root cause? Are we working too much? Has the game changed for Chief Marketing Officers? Do customers just want adequate service? Is my goal relevant to the customer? 5 questions to ask to break the “too busy” cycle holding you back from moving to the next level.